Exhibitions through See.me in Miami Art takes Miami during the Art Basel, New York, London and Singapore, The Lovre in Paris. My first camera was garbage. .... I literally found it in the trash. I was an adolescent living in my hometown of San Lucas Toliman, Guatemala. The camera was most likely thrown away by a tourist from the United States, one of thousands that arrive to San Lucas to volunteer in the Catholic Church's Mission projects working with the Mayan population: building houses, cultivating coffee, working in land reforestation. Their camera had broken, and clearly they found it unsalvageable. It was not. I took the camera home and fixed it, and in that simple act a new world was opened up to me. I began to take pictures of my hometown, the people that lived in it, and the various Mission projects. One day the priest who ran the Mission asked my sister, who volunteered there, about a photo I had taken, unknowing that I was the photographer. He ended up buying that photo, and then asked me to begin documenting the work of the Mission. And so my passion for photography was born and my career as a documentary photographer. Photographs not only capture a moment, they tell a story. They can also have a concrete impact on people's lives. In San Lucas I l discovered that through my photos people learned about our community, our way of life, and were able to connect with the people of San Lucas. My photos were taken to the States and put on websites in order to have that story reach a broader audience. This translated into more individuals connecting with, visiting, and supporting the Mission's work. 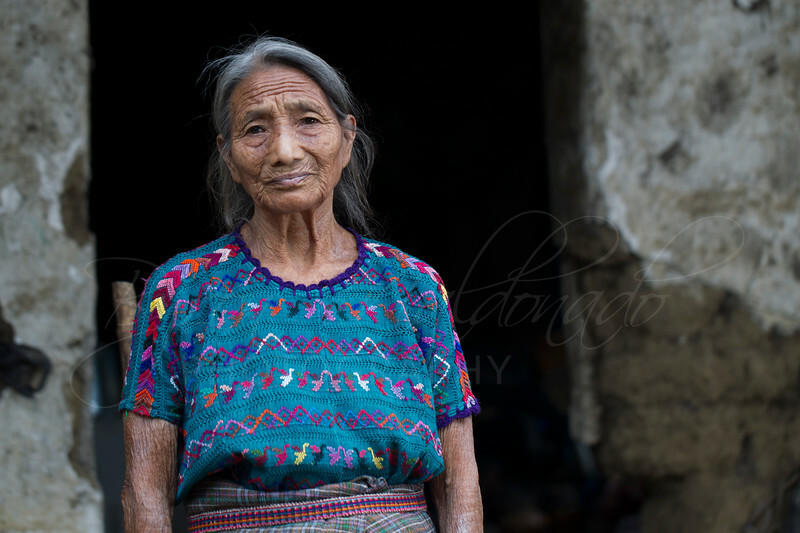 Just as important, my photos of the Mayan community, whose way of life and traditional dress is slowly fading away in the face of globalization, is a living history of an ancient way of life. When I moved to the United States in 2006 I was able to study photography more formally. I learned how to use a dark room, master digital editing, explore the subtleties of lighting. All these are important skills. However what I brought into the classroom and continue to carry is a passion for photography. I also continue to see the power of the stories that are told through the medium of a photograph. An image can capture a moment, express something about our humanity, at that moment when words are not enough. If you would like to enjoy some of the stories I tell with my photographs.